Get your free bingo fix every night between 7pm and 11pm in Paddy Power Bingo's all new Super Room. You can choose to play these free bingo games or upgrade your tickets for a chance to win some top prizes and top jackpots. You can pick up 36 free tickets completely free for each free bingo game but if you want to upgrade your tickets it will only cost you 1p and you'll be able to play for 10 times the prize of a standard free game. This new room is sure to be a big hit with players, not only can you get your bingo fix for free but you can also win real cash prizes when you spend just 1p. New players who join this bingo site will get access to a free room with real cash prizes on the first Saturday of the month after you join, you don't even have to make a deposit to play. 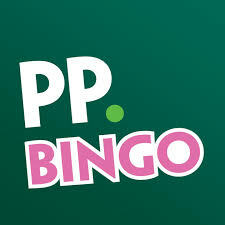 You can play free bingo games between 6pm and 8pm which carry real cash prizes. There's also a £20 new player bonus when you make a first deposit of just £5. this is a new free room with options of free tickets and also upgrading to buying tickets, its also a very fare bingo room and ive won a few times in this room.